Ananya Biswas almost always stands out from her classmates. Laden in jeans and a t-shirt, the 13-year-old from Bagerhat sees herself growing up to become a fashion designer. Despite being in a family where the women were married off at an early age, Ananya was adamant about continuing her studies. Her teachers at Attaka K Ali Pilot Secondary School consider her to be a natural leader, taking on class monitoring duties with diligence. It comes as little surprise that she was selected to lead the recently formed student WASH brigade to maintain the quality of the recently upgraded water facilities at school. Ananya recalls having to go thirsty throughout the day to avoid long lines at the only girls’ latrine. Everyone had to bring clean water from home to drink and use for washing. If their supplies ran out, they would either go knocking on nearby doors or walk at least two kilometres to reach a safe marked tube well. As the leader of the student brigade, Ananya takes her responsibilities seriously, making sure that her classmates understand the value of these facilities. She is sure that her efforts will help other girls to overcome the same obstacles she used to face at school. Ananya’s family has eventually warmed up to her dreams, even considering sending her to Dhaka if necessary. Ananya knows her family trusts her to make the right decisions in life and all she wants to do is make them proud. Shamima miss is a class favourite. The students find her easy to talk to and the girls look to her for personal advice. 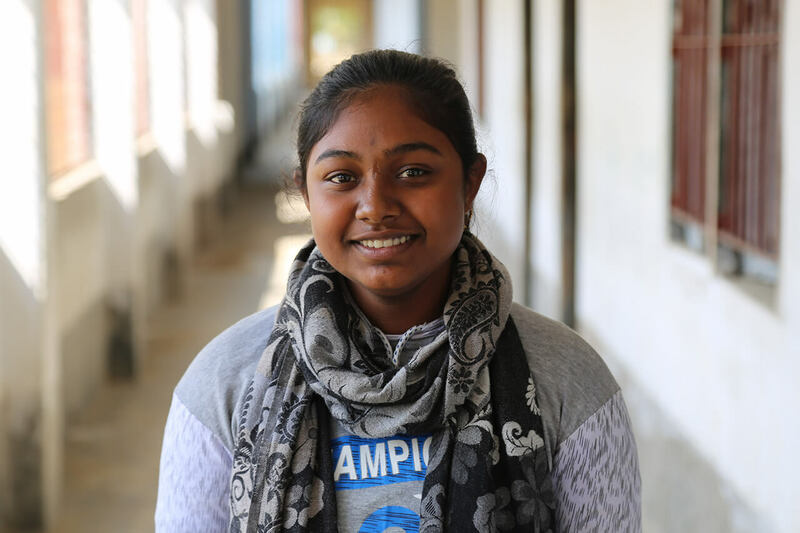 When talking about the challenges that obstruct students’ learning, Shamima recalls students’ poor attendance in her classes – mostly because of waterborne and hygiene-related illnesses. Students had to bring drinking water from home, and once it depleted, they would spend crucial learning time looking for a refill. Then, in 2018, the school accepted support from BRAC to install its first deep tube well and piped water system to provide a steady supply of safe drinking water. Reflecting on how things changed for the better, Shamima mentions her student Ananya Shaha from class 8 as an example. Ananya started spending more time at school since the new changes took place. Ananya had approached Shamima with the wish to build a flower garden at the premises. 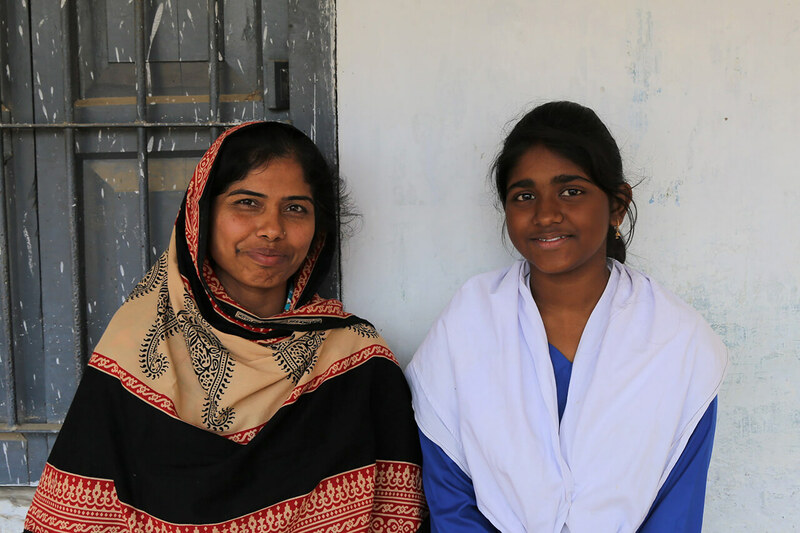 From seeking the headmaster’s approval to collecting supplies, Shamima helped Ananya set up a garden in just three weeks. Ananya and Shamima are currently awaiting their first bloom. For Sajjad, helping others should be one’s true calling. His father was a freedom fighter and even though those are some big shoes to fill, Sajjad has happily made it his life’s mission. One thing Sajjad was constantly bothered by was his area’s water problem. 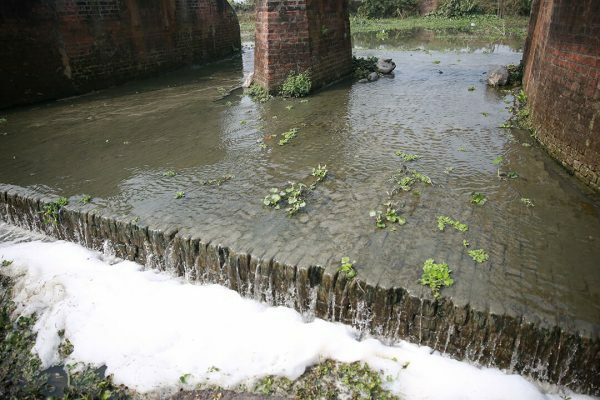 Rampal, and its neighbouring coastal areas in southwest Khulna has been victim to severe water crisis – a result of falling freshwater flow, rising sea levels and unregulated embankment constructions. Sajjad recalls how, up until recently, people had no option but to drink water with high concentration of salt, iron and other minerals, resulting in widespread health problems. 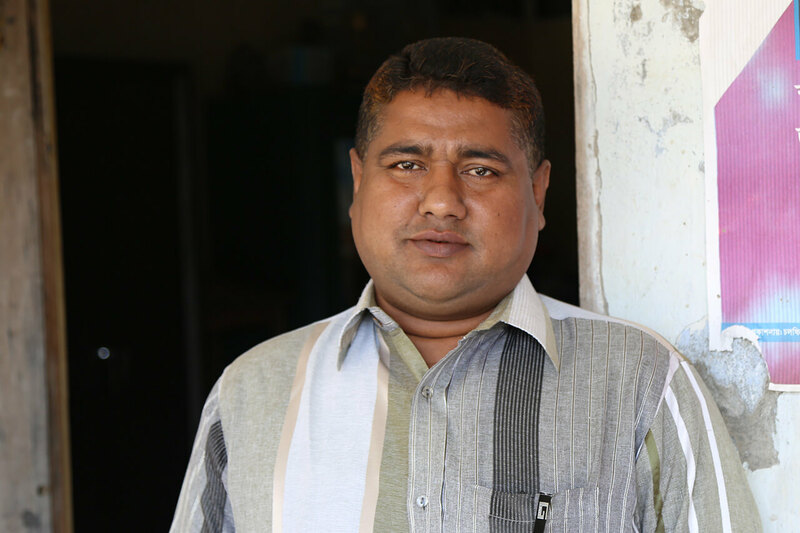 Things took a positive turn when BRAC approached Borni Chayrabad Bohumukhi Secondary School, where Sajjad’s son Hasan studies, with the proposal to create a safe water system. The school committee was initially pessimistic but Sajjad immediately decided to be involved in the exciting prospect. He helped convince the committee to take a risk and bore deeper than standard deep tube wells. The risk paid off and, soon enough, clean water flowed through the school’s pipes. More than a year later, Sajjad is pleased to see that now all students, regardless of their family’s financial status, find equal access to something that is a fundamental right. Looking at what the school has managed to achieve, he feels that it is helping to reinforce good social behaviour among Hasan and his peers. Sajjad’s only dream is to see his son complete higher studies and reach a position from where he can make an impact in his community. Ali Iqbal Murshed is external communication specialists at BRAC Communications.